I could tell from the first time I laid eyes on him. My brain told me I needed to stay away, but damn, one look into his piercing blue eyes and I was hooked like a drug. The more he comes to see his little brother, the more I realize that I'm losing the battle. There has to be some heart, a shred of love within him, right? He seems determined to self-destruct. I might not be able to stop him from killing himself inside the cage, but I'll be damned if I lose him without a fight. 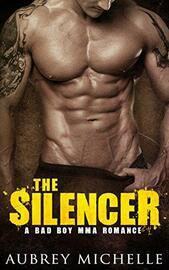 The Silencer is a full-length 50,000 word novel. It is complete with NO cliffhangers.